Stortorget in Karlskrona is the representative market square in the historical center of the baroque city. 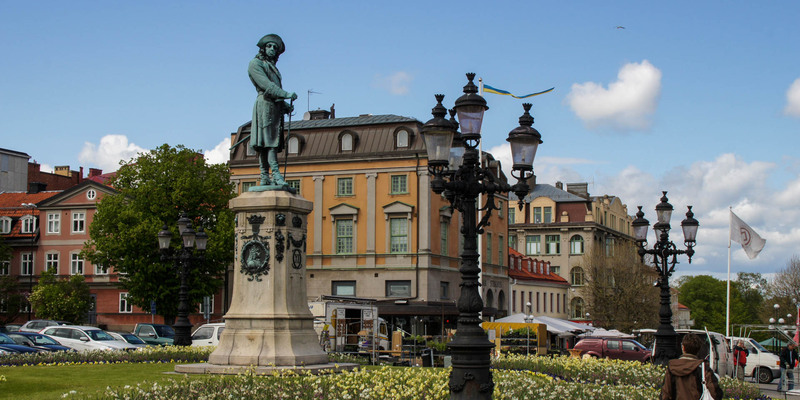 Covering an area of 25,000 square meters, it is the largest historical market square in Sweden. It is located on the highest point of the main island Trossö. 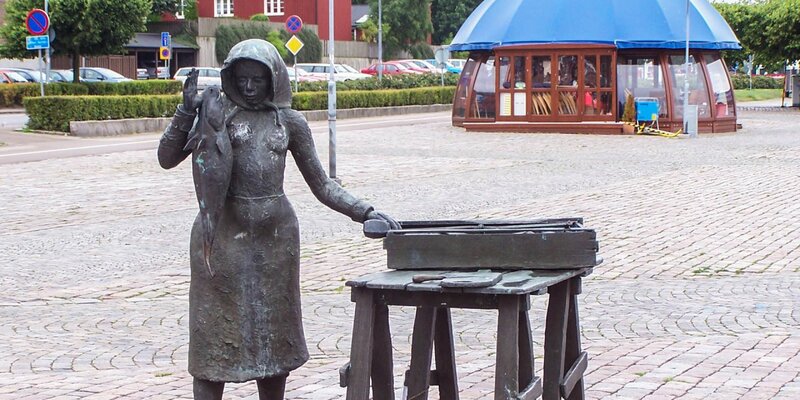 Stortorget was created in the style of a Roman Piazza and is the vibrant center of Karlskrona. In its center you find the statue of city founder King Karl XI. The square gains its representative effect also by the surrounding magnificent historical buildings. 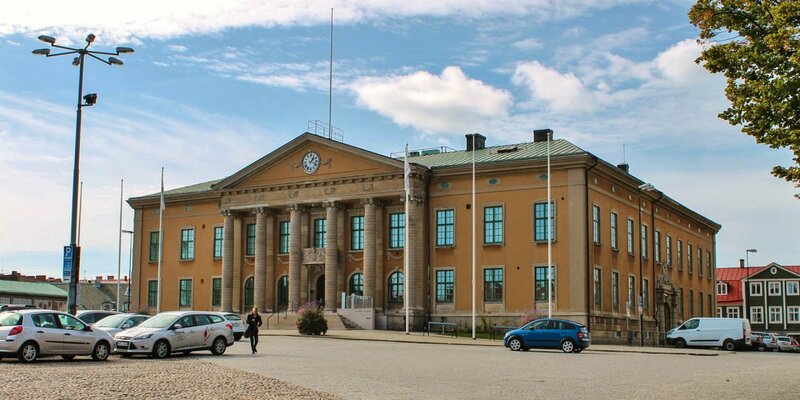 This includes in particular the two large churches Fredrikskyrkan and Trefaltighetskyrkan and the historical city hall of Karlskrona - followed by the former water reservoir Vattenborg, which looks like an old knight's castle with its towers and battlements. Large parts of the square also be used as a public parking area and in the immediate vicinity of Stortorget you can find the concert hall and tourist office of the region. The design of Stortorget was corresponding to ideas of a capital of an European superpower and it was seriously planned, not only to move the naval base from Stockholm to Karlskrona. 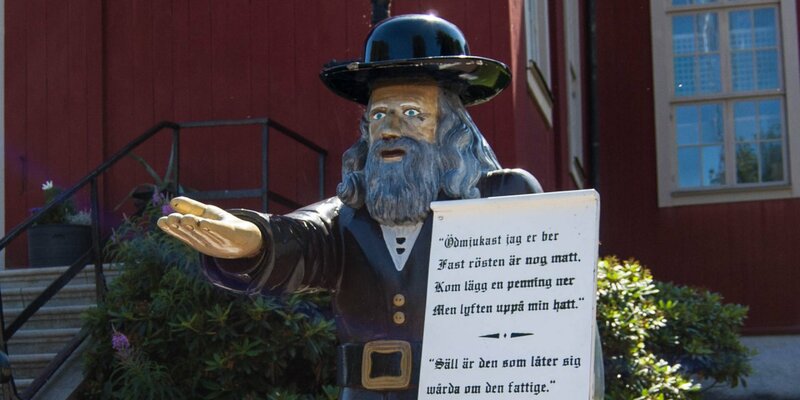 The Swedish capital should also be moved to Karlskrona and therefore they created a representative basis. Only due to the loss of the military supremacy of Sweden in the 18th century, Stockholm is still called the Swedish capital.